Imagine them all, lined up and ready. Imagine that steely look in the eyes of all of them, that set jaw in anticipation. Imagine the coach, moving behind them on the bench. There is Carey Price. There is Pekka Rinne. There are Sergei Bobrovsky and Marc-Andre Fleury and Frederik Andersen and Martin Jones. You can pick any of them for the game at hand. Any of them. And more and more, you pick Andrei Vasilevskiy. And after your team has lost the previous game, you rush to pick Vasilevskiy. He did it again Friday night. Vasilevskiy won a rebound game for the Tampa Bay Lightning with another excellent effort. This time, Vasilevskiy won a 1-0 game over the New York Islanders to put his team back on track, again. It was Vasileskiy's fourth shutout of the season, and every one of them have come after the team has been beaten. It was the 16th shutout of Vasilevskiy's career, one short of Ben Bishop's franchise record. Seeing as how Vasilevskiy is just 24 years old, odds are that he'll break it easily. Vasilevskiy had 36 saves plus stopped all three shootout attempts by the Islanders. 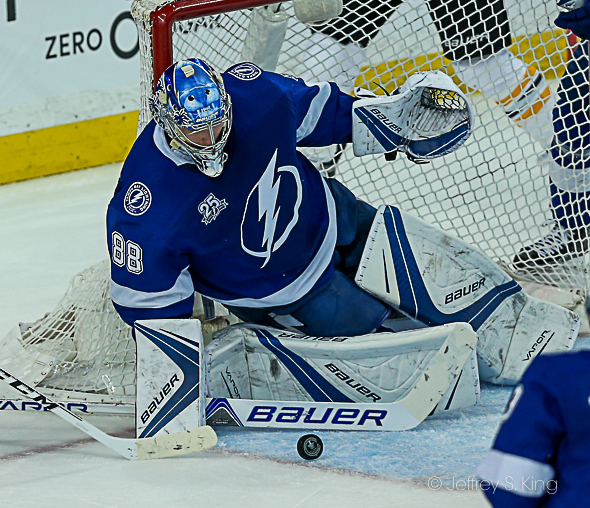 Vasilevskiy improved his record to 9-0 following a loss. The Bolts are now 12-1 in a game following a defeat. They are 38-11-2 on the season with 31 games to go. 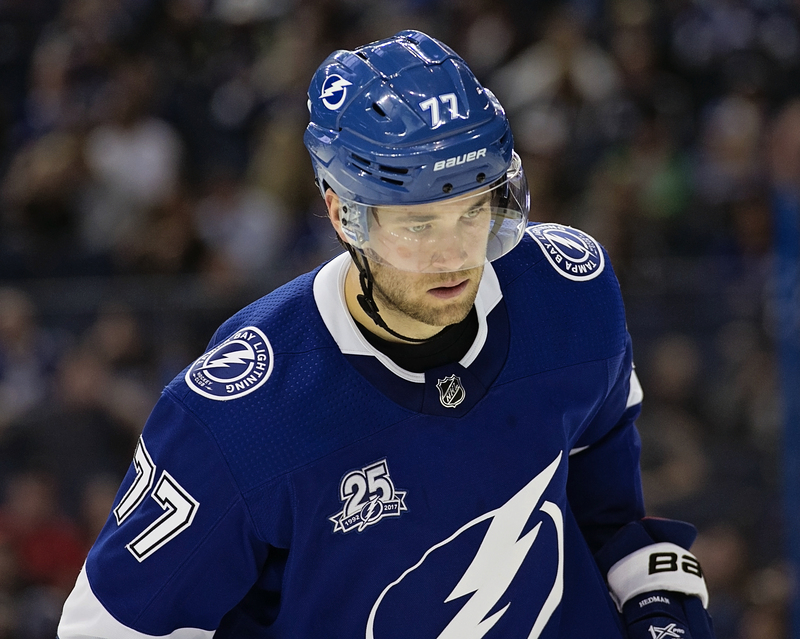 Said coach Jon Cooper: "He's been a rock." Vasilevskiy is 21-7-2 on the season. Hedman has now scored on all three of his shootout tries this season. Now that the NHL schedule has moved to February, it was another example of how much tighter teams will play in the stretch run. The Bolts' penalty kill unit stopped all four Islander power plays. "The one thing, I think we left some of our goal-scoring touch at the break," Cooper said. “The third period was a great period for us. It was tough, I think we had 12 or 13 shots on goal in the first seven minutes of the third and we kept pressing and they were tough, they were tough in front of the net not giving us second chances. Tampa Bay plays the New York Rangers tonight at Madison Square Garden. The puck is scheduled to be dropped at 8 p.m. Previous post: How much shattered faith is due to Goodell? Next post: Ask Gary: Should the Bucs consider Kareem Hunt?